This operation is one of the most popular plastic surgeries. 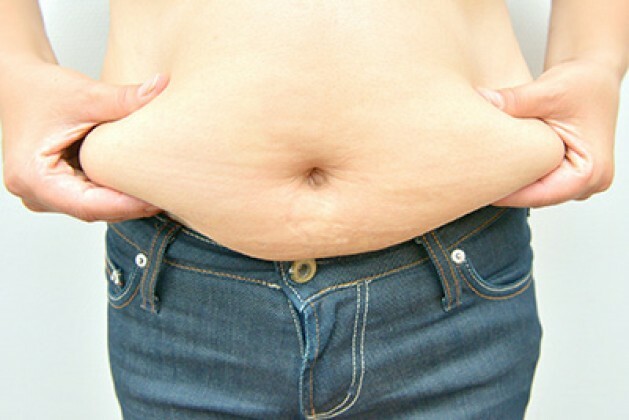 During abdominoplasty, the surgeon cuts excess skin which ugly hangs underneath stomach. First, the doctor makes a long transversal cut from one hip to another at the bikini line. Then the surgeon makes a cut around the belly button to free the abdominal wall from tissues. Abdominoplasty helps to get rid of the hanging-down flabby stomach, allows to bring it up and get a tight beautiful stomach. A longitudinal or vertical suture, as well as a suture around the belly button, are treated with running absorbable suture. Three drainage “bottles” are put in the grain area and taken off before the release from the hospital. Edemas, hematomas, bruises, and pain will disappear within several weeks. Within several days the treated area is anesthetized by local anesthesia. Negative reaction to the anesthetic, local collections of blood, seroma, infection, embolism.